This guide is written with the needs of academic staff and higher degree research students in mind. Undergraduates are encouraged to see the guide for EndNote Web - easy and online! Using Australian Harvard style? View the PDF on Downloading the Australian Harvard Referencing style for use in EndNote. 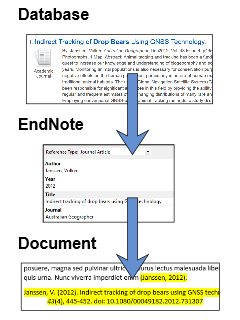 EndNote is a bibliographic management system. Where can I get EndNote? See the installation pages on this guide to install EndNote on either Federation University ITS-maintained computers or your personal device.